Huron Chamber of Commerce- Tourism Goderich- Hospitality Business Award 2016. 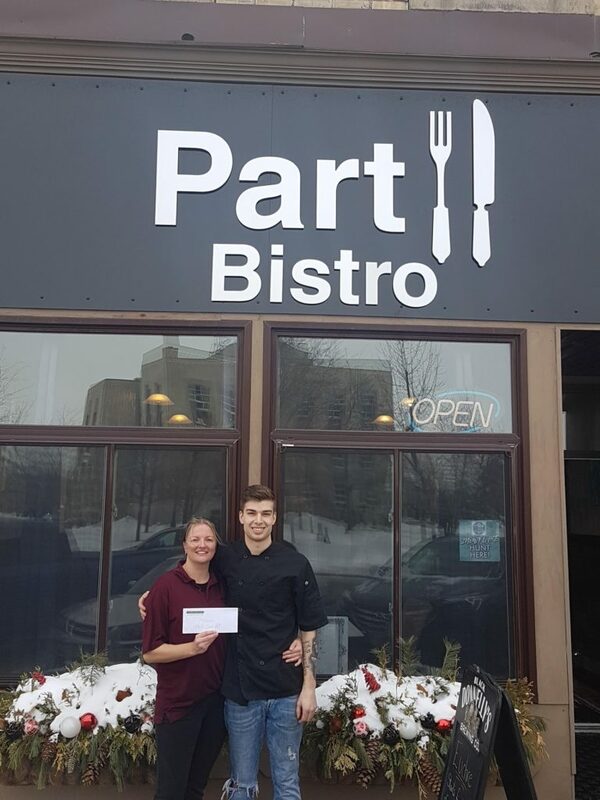 This award is due to the fact that we support all kinds of local businesses and food producers. Thank you to all who voted for us on Facebook! 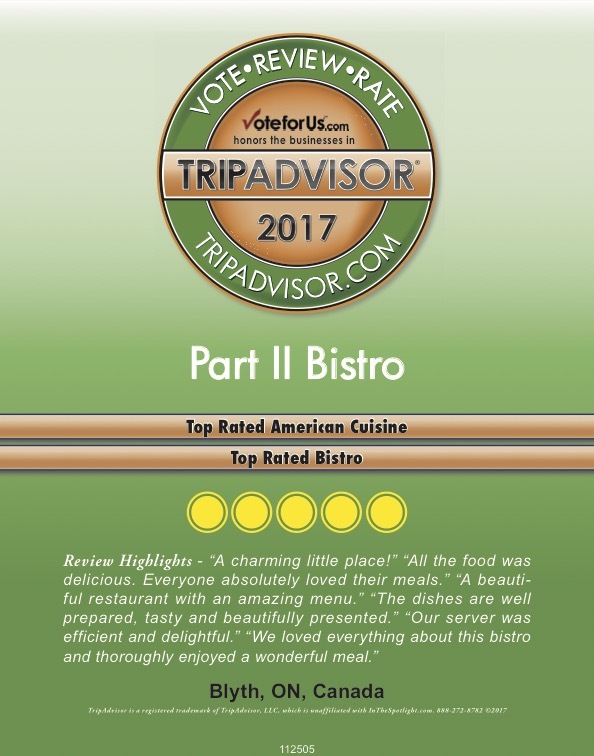 Thank you to all our wonderful staff and those who gave us such kind reviews; we couldn’t have reached our goal of #1 without you all! 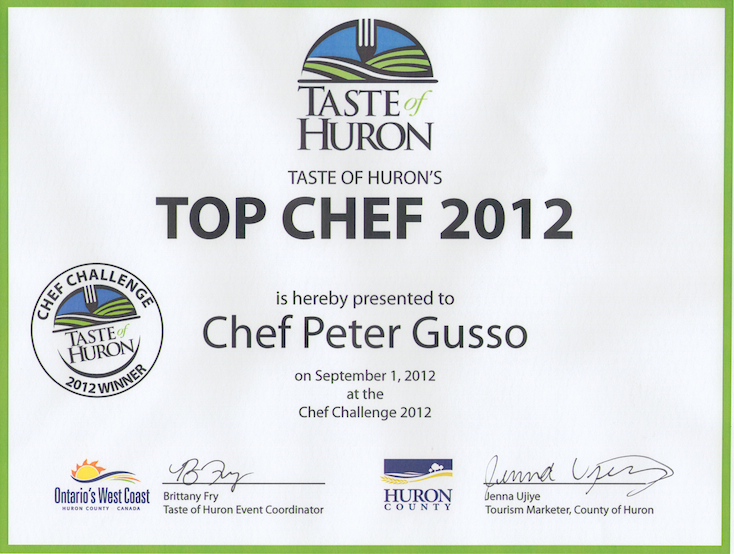 In 2012, Part II’s Chef, Peter Gusso won the chef challenge which took place in Goderich Ontario on September 1st. Congratulations Peter!